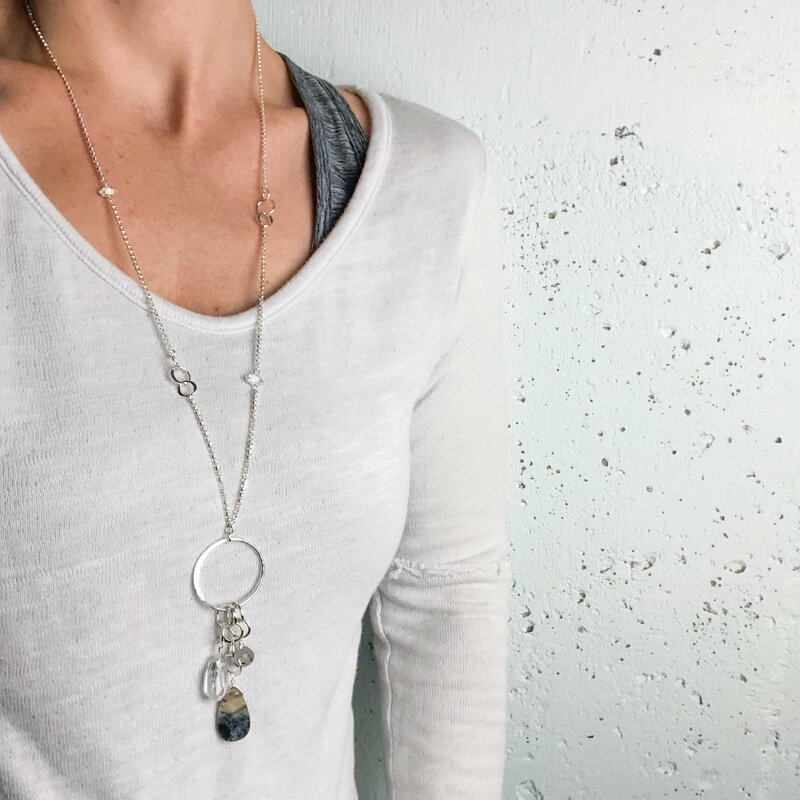 * Total length of the chain is 30" adjustable to 32" with a lobster claw clasp and built in extender chain so you can select the perfect length. 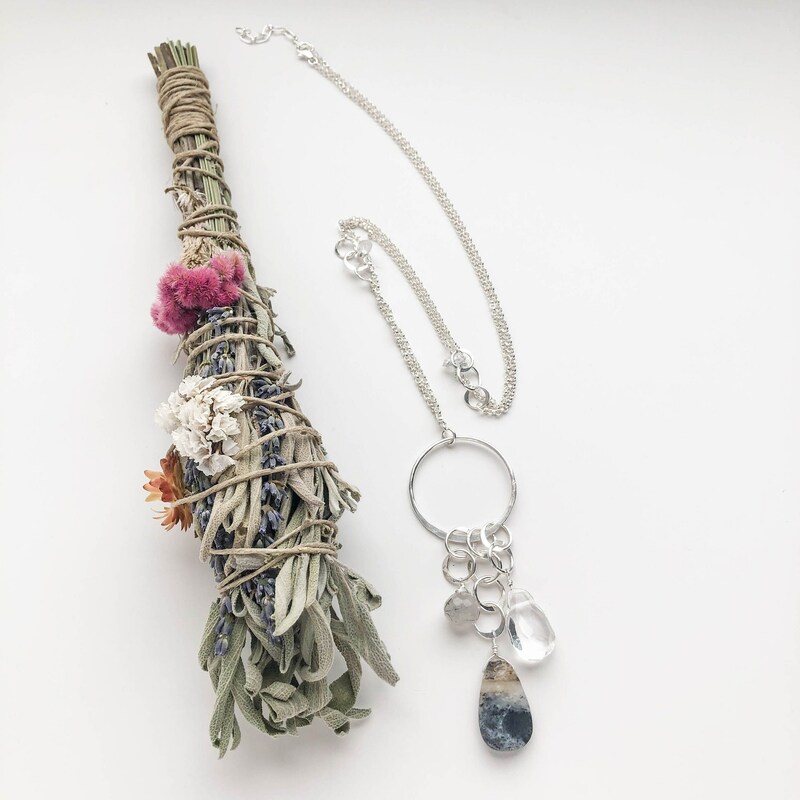 * The pendant drops a total of 4" long and the circle measures 1.3 inches across at the widest point. 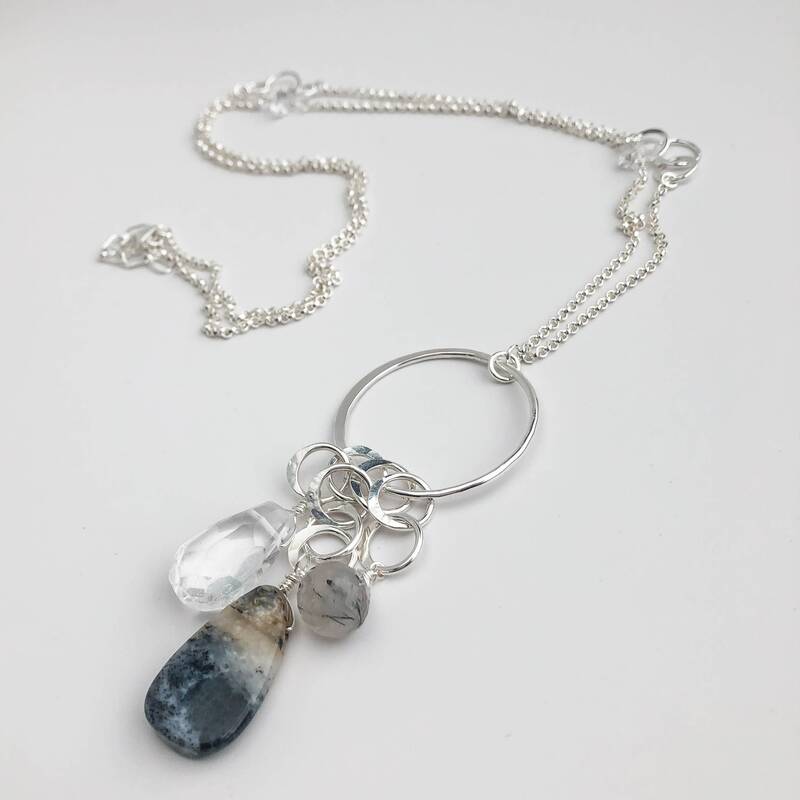 * Because we use natural gemstones and hand make each piece to order, you can expect slight variations on the colors or exact patterns in the stones. We do our best to create an identical piece but each one will have it's own unique gems and be one of a kind. 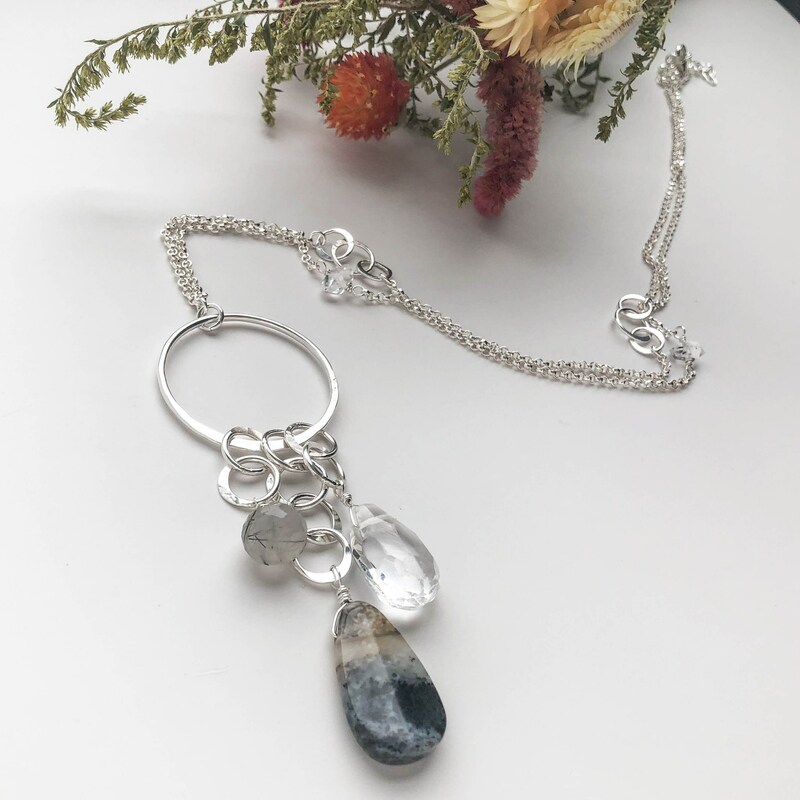 This unique long necklace was handmade with solid sterling silver, a natural dendritic opal stone, a faceted quartz crystal, a faceted tourmalinated quartz and raw Herkimer diamonds. The large circle pendant is formed by hand and I gave it shape and texture by cold forging with a hammer. The circle is polished to a high shine to catch the light just right. 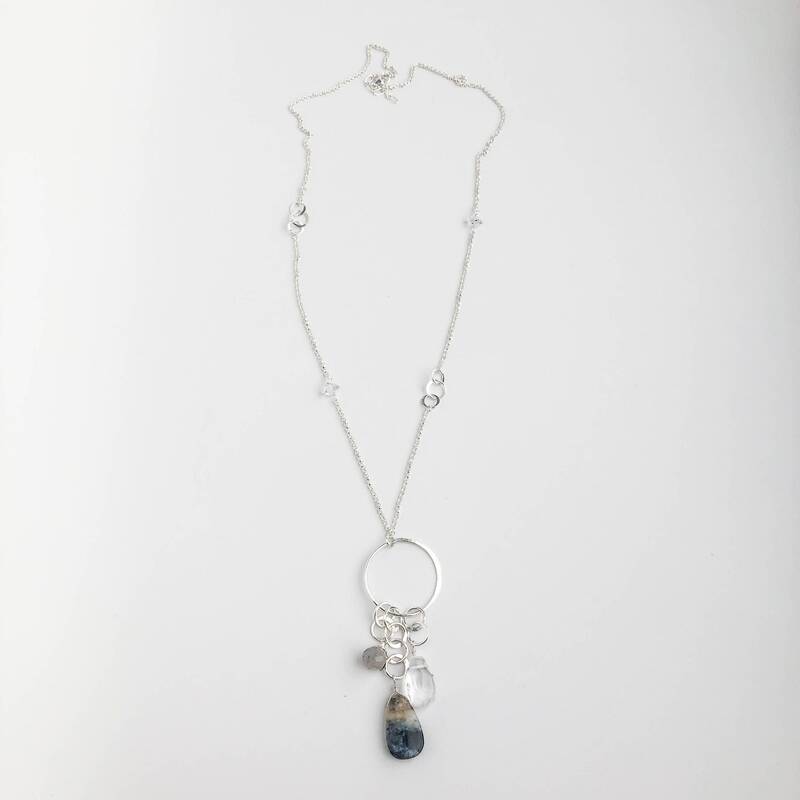 I created matching silver chain links to hang the gemstones off of the circle. 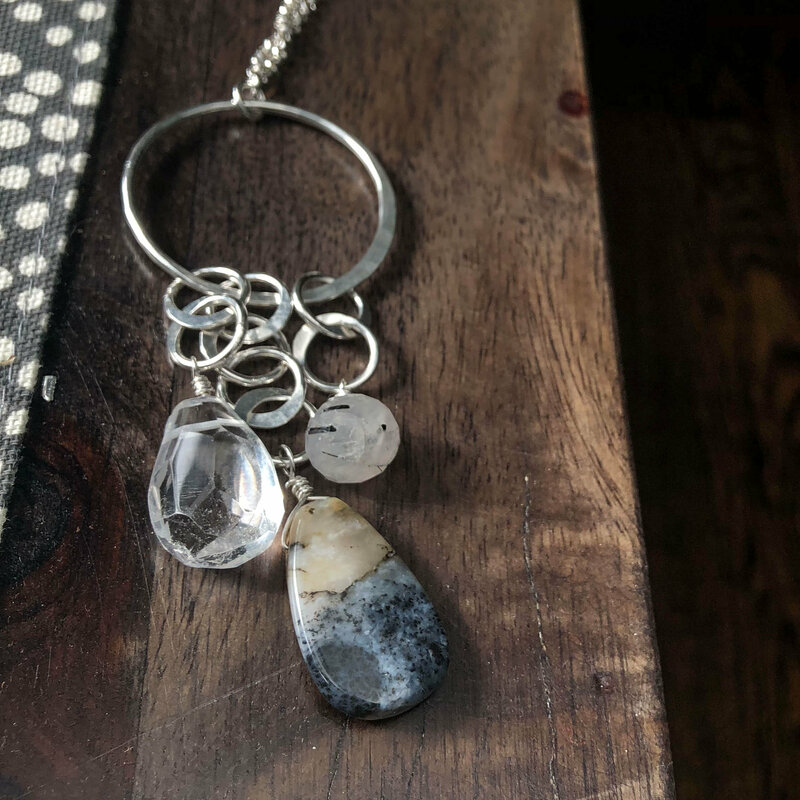 The longest dangle is a natural dendritic opal gemstone, this natural tone gemstone is so full of unique texture and has a really beautiful shape and polish. 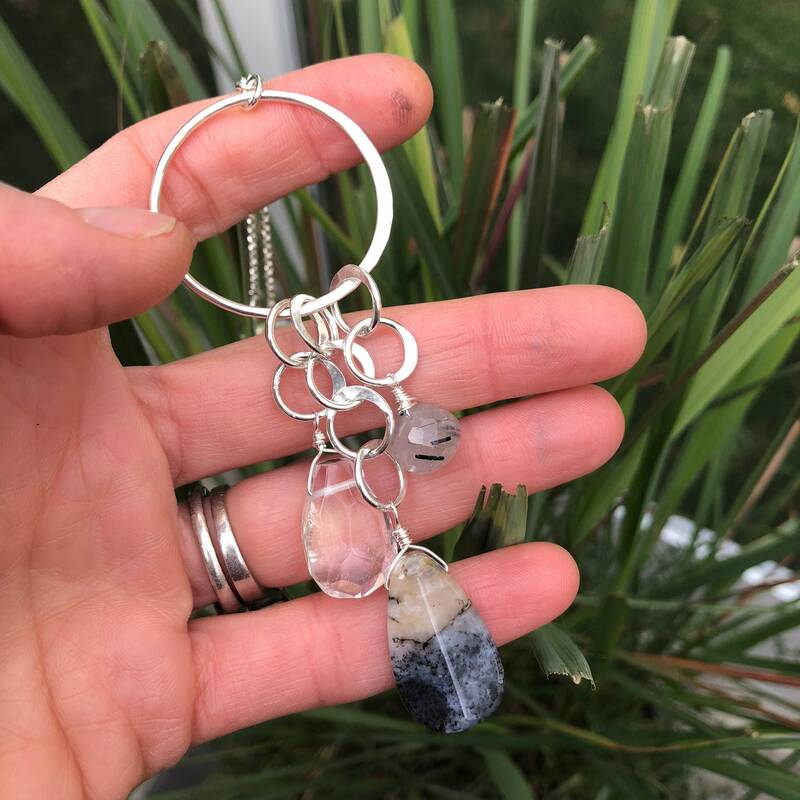 I also dangled in a chunk of natural quartz crystal and a small tourmlinated quartz gemstone. I wanted to create something that would be neutral tones in a really versatile style that could be worn with so many different looks. 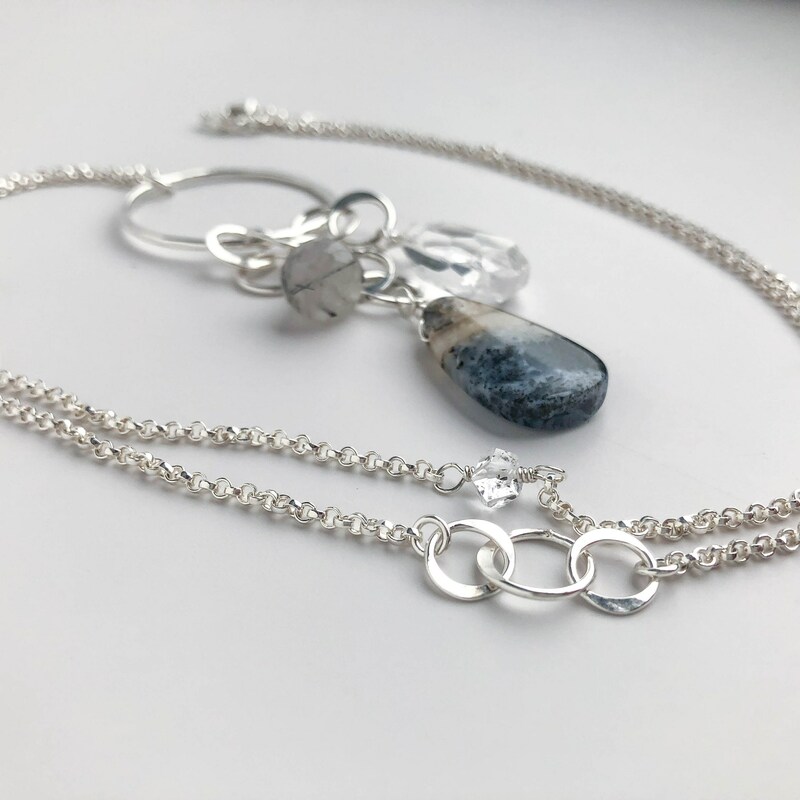 I used out medium weight sterling silver chain so it would be super sturdy and perfect for daily wear. To give interest to the chain, I created small circle links and hammer textured them just like the circle accents in the pendant. 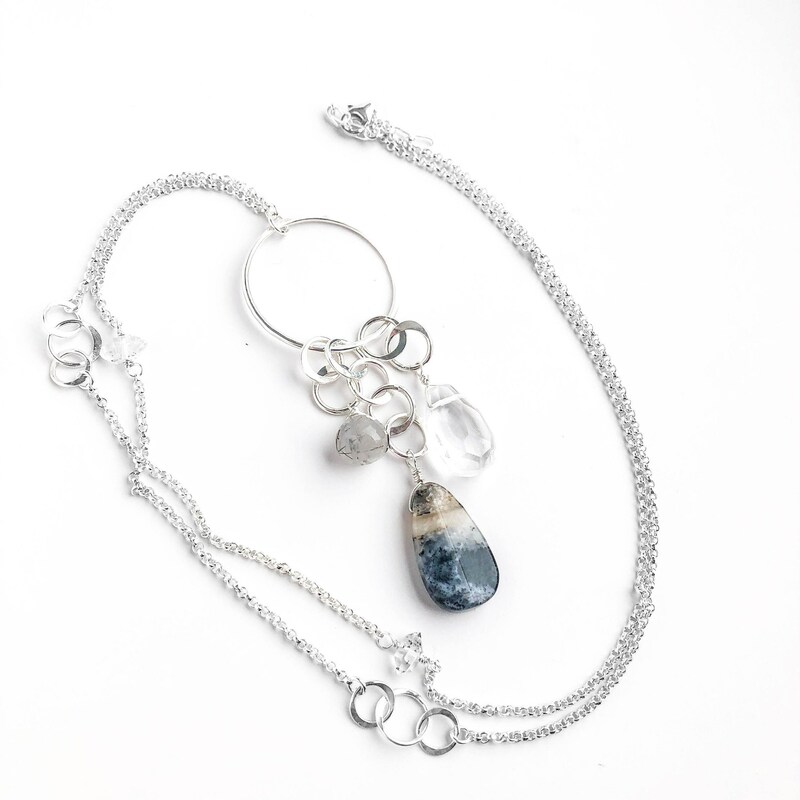 I also linked in raw Herkimer diamond stones to give the chain just the right amount of sparkle. 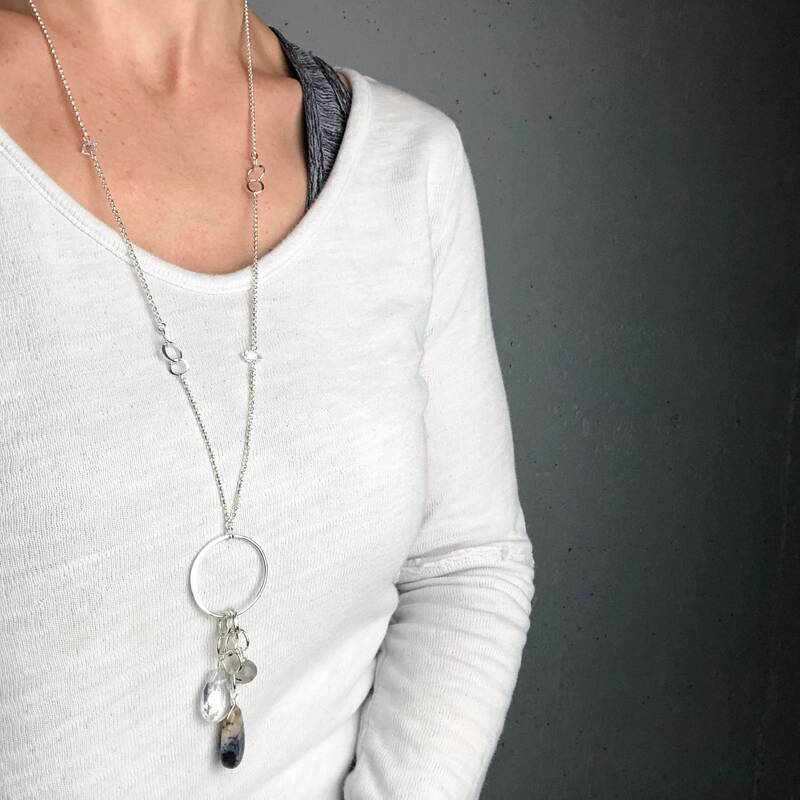 This necklace is beautiful, another statement/ family heirloom piece of jewelry-looks amazing on-the stones are a great size-the design and silver work is top notch. As always great customer service, lovely packaging and quickly shipped.